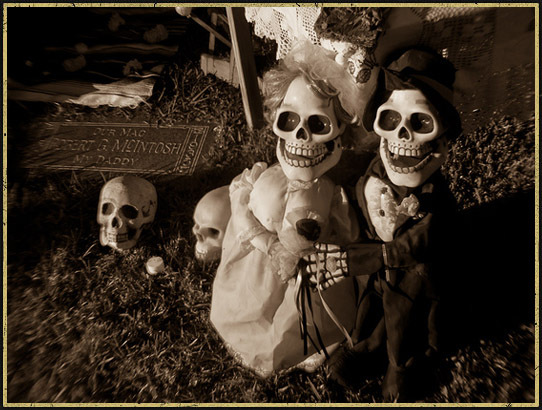 Read articles about the Dia De Los Muertos Festival. The annual festival invites guests to join in festivities of Dia De Los Muertos at the historical Hollywood Forever Cemetery. Though not strictly speaking a Halloween event, Dia De Los Muertos features costumes and decorations that dovetail nicely with the season while offering an alternative to traditional Halloween events in Los Angeles. Please remember: no food, alcohol, glass containers, bikes, chairs, coolers, skateboards, or pets. The dead take a break from the Dia De Los Muertos festivities in Hollywood Forever Cemetery. BEST HALLOWEEN ATTRACTIONS IN L.A.